LED PAR 56 DMX Black, krátký 151 RGB LED - nejlepší cena ! LED PAR 56 Black 151 LEDs. 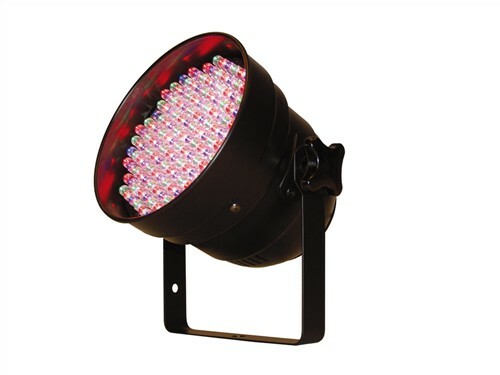 The LED PAR 56 short is a PAR 56 with RGB colour mixing. Contains 151 LEDs (51 red, 49 green, 51 blue). automatically via integrated processor or music-controlled via internal microphone.